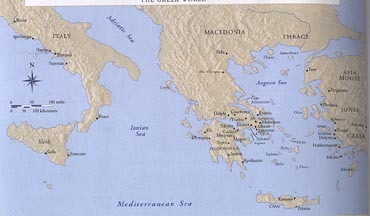 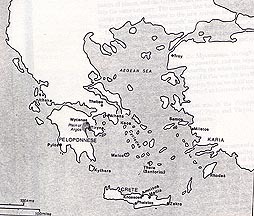 Clan after clan poured out from the ship and huts onto the plain...innumerable as the leaves and blossoms in their season...the Athenians...the men of Argos and Tiryns of the Great Walls...troops from the great stronghold of Mycenae, from wealthy Corinth...from Knossos...Phaistos..and the other troops that had their homes in Crete of the Hundred Towns. Heinrich Schliemann (1822-1890) published Troy and Her Ruins in 1875. 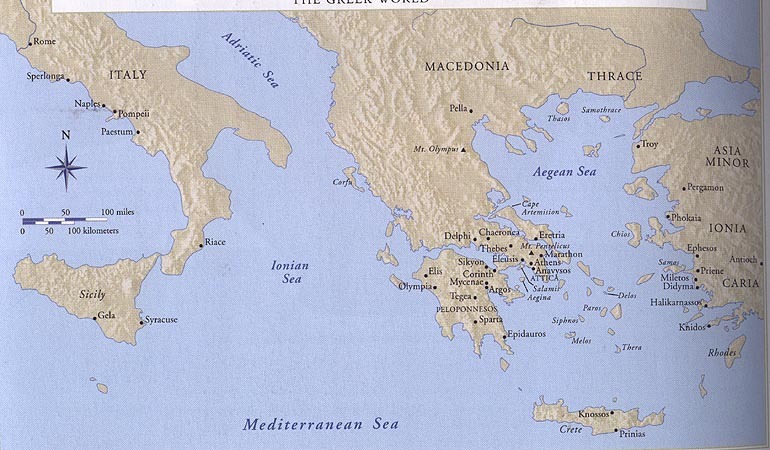 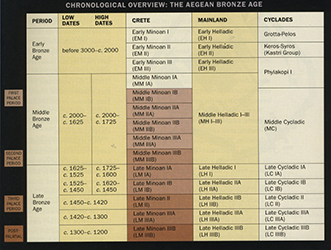 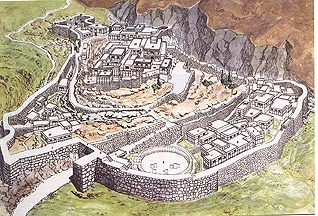 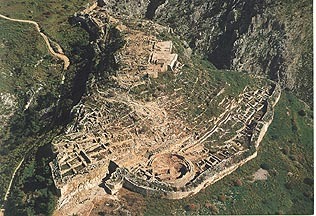 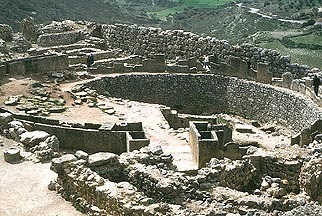 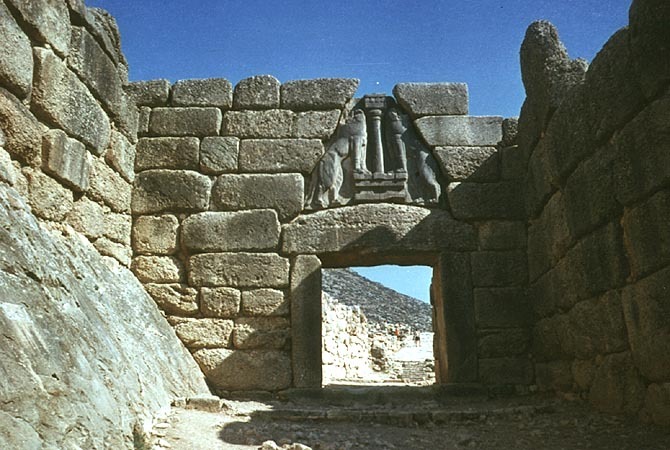 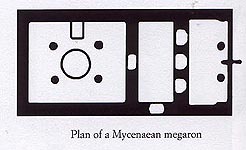 He also excavated Mycenae. 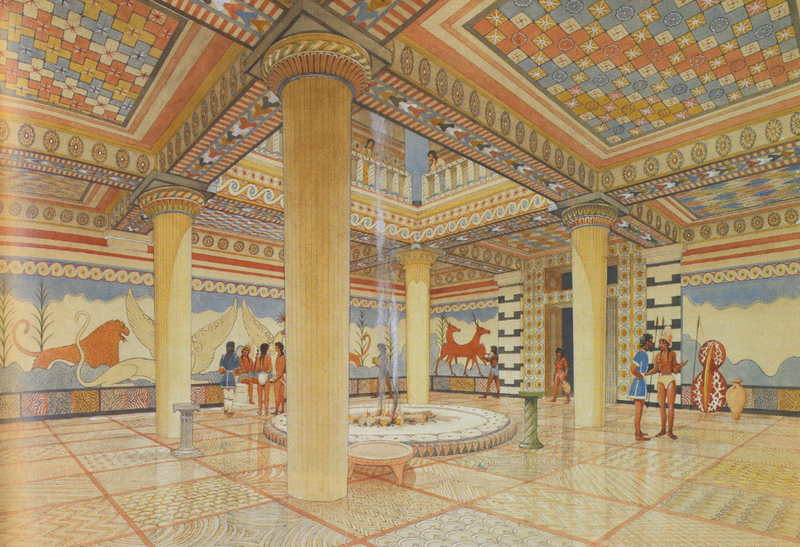 Sir Arthur Evans (1851-1941), excavated the site of Knossos from 1900-1905. 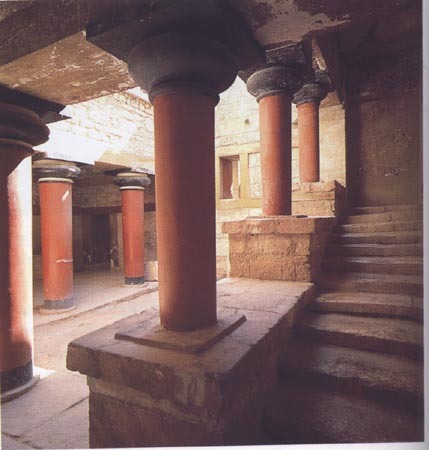 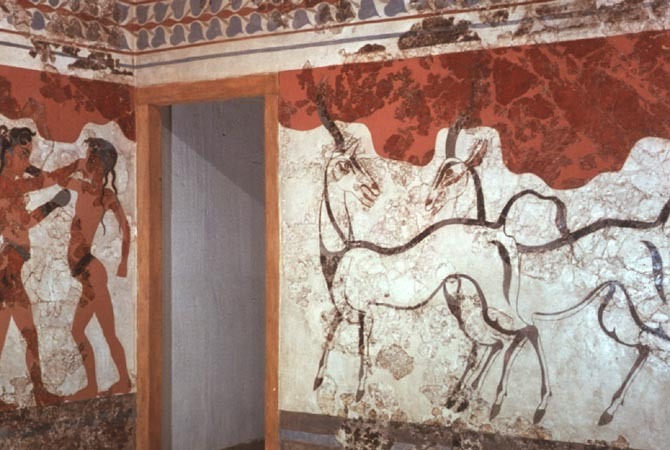 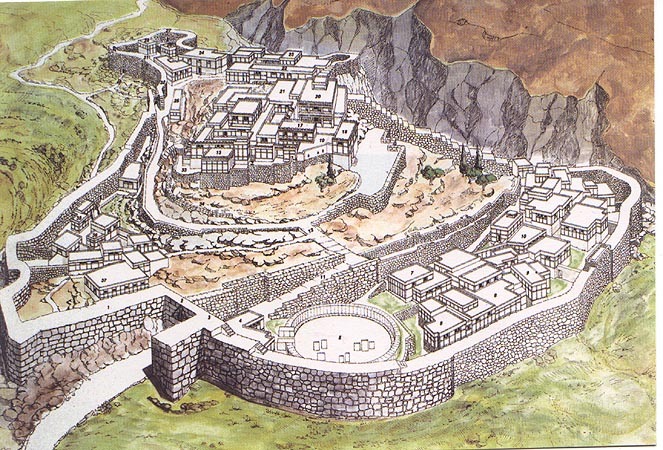 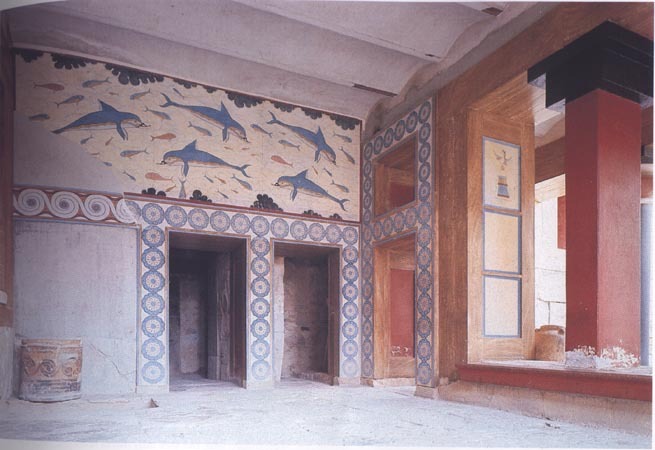 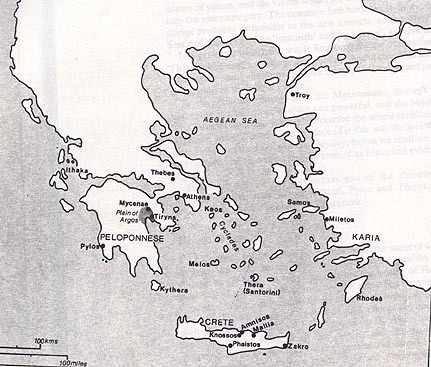 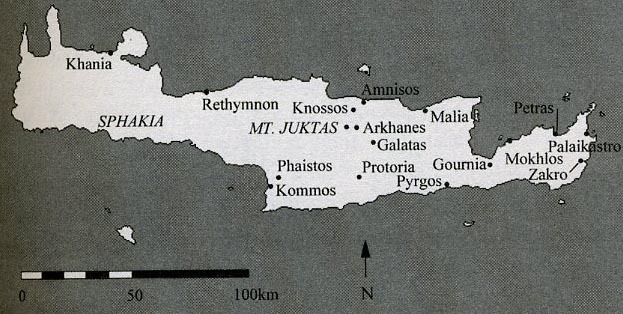 Minoan Palaces on the Island of Crete, from the Second Palace Period, c. 1750-1450 BCE. 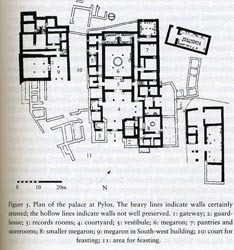 Plan of the Palace of Knossos, c. 1700-1400 B.C. 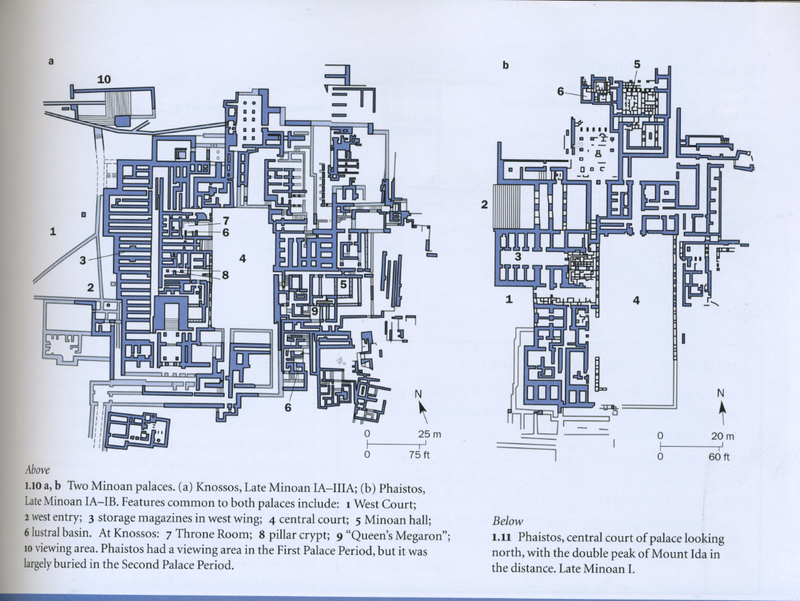 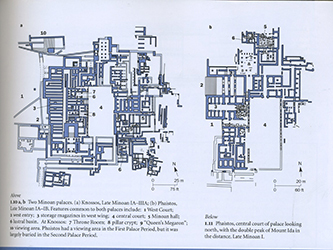 Comparison of the plans of Knossos and Phaistos. Central Court of Phaistos with Mt. 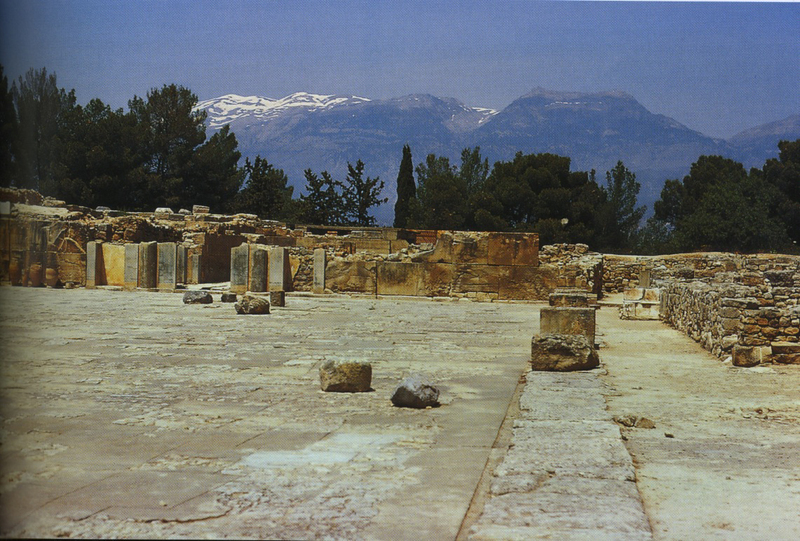 Ida in the background. 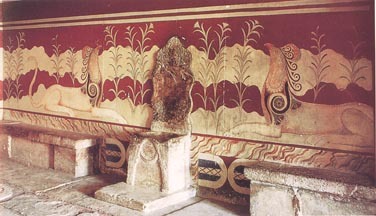 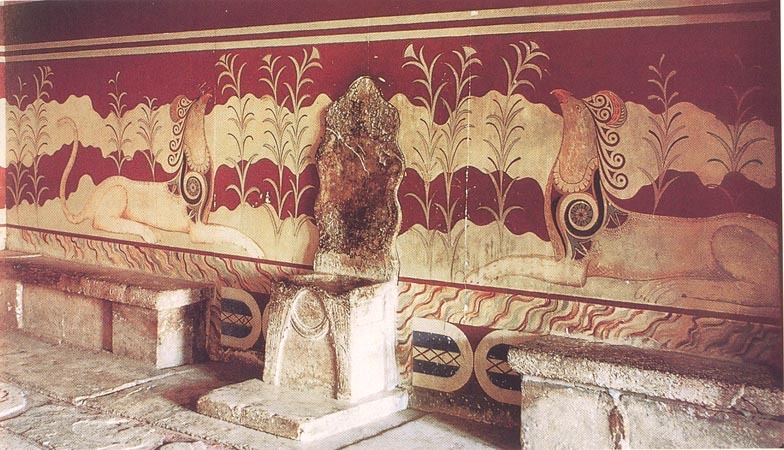 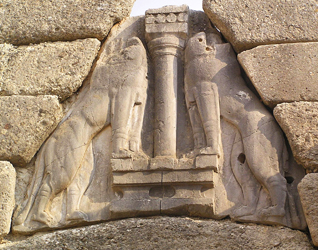 So-called "King's Throne" from the Palace of Knossos. Heavily restored fresco with griffins. 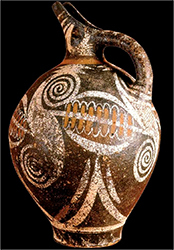 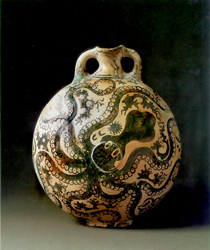 Octopus Vase (Marine Style), c. 1500 B.C. 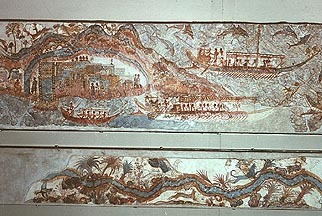 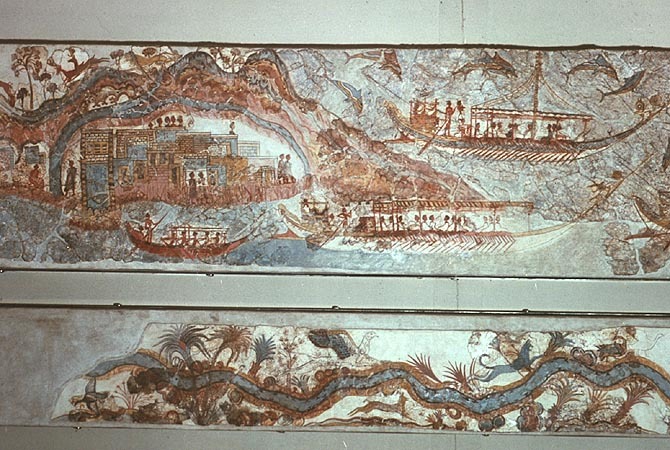 Naval Fresco from Akrotiri, Thera, c. 1650-1500 B.C. 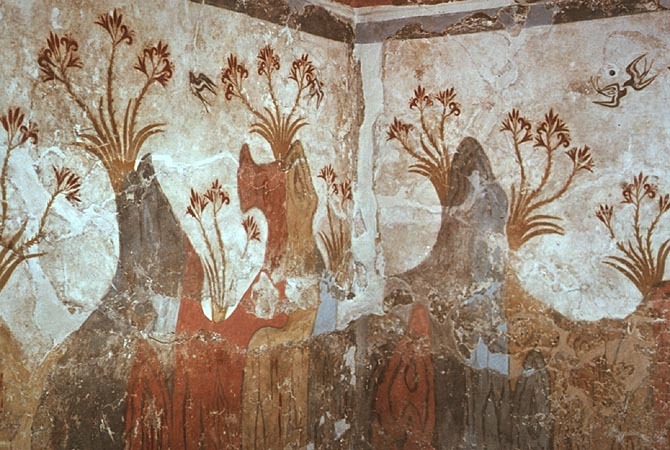 "Spring" fresco from Thera, c. 1650. 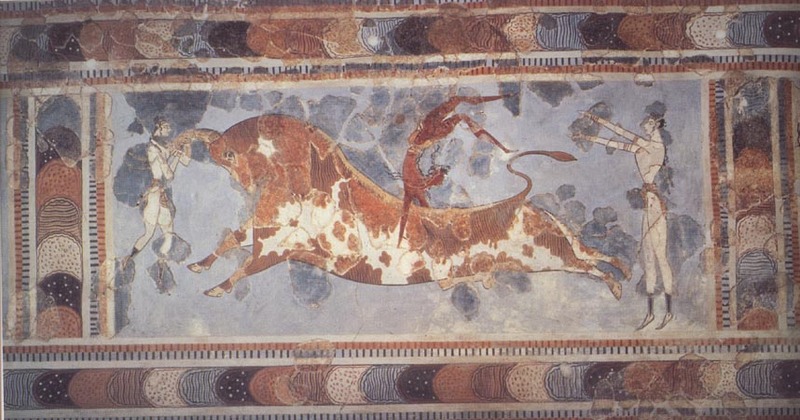 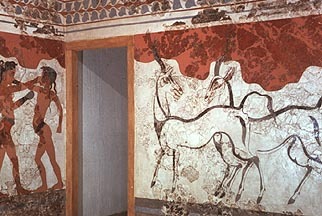 "Boxer" and "Antelope" frescoes, from Thera. 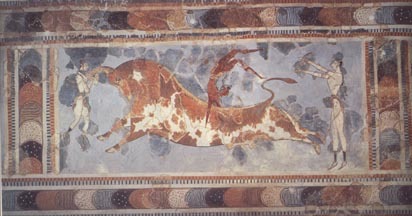 "Toreador Fresco" from Knossos, c. 1450-1400B.C. 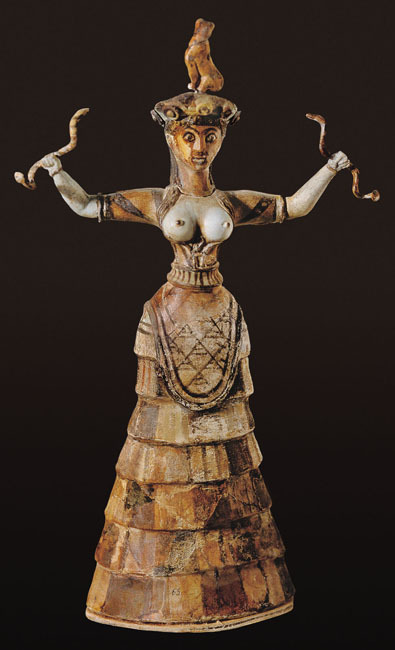 "Snake Goddess" c. 1600 B.C. 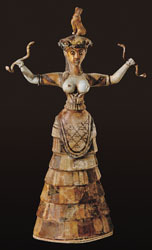 from Knossos. Faïence (glazed earthenware). 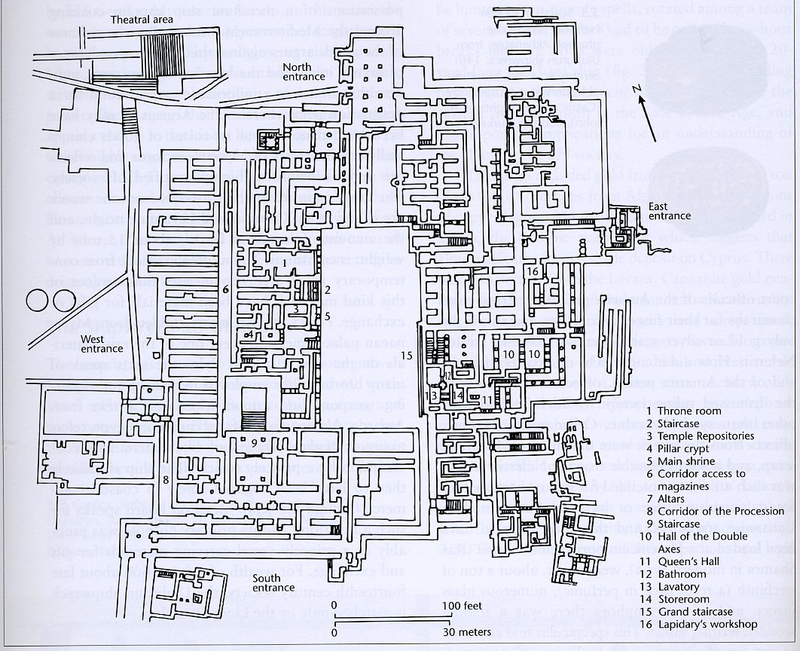 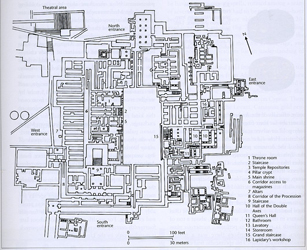 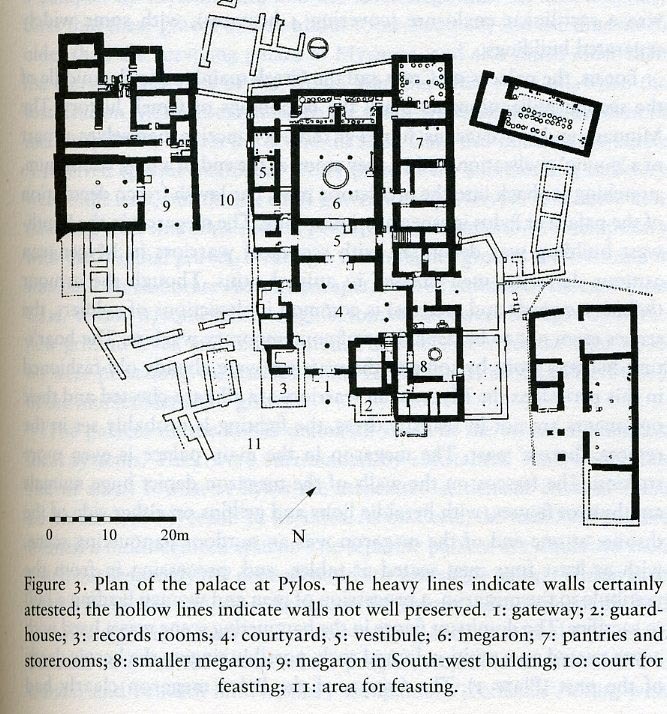 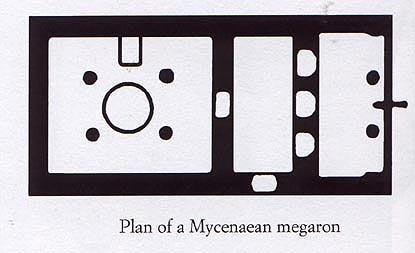 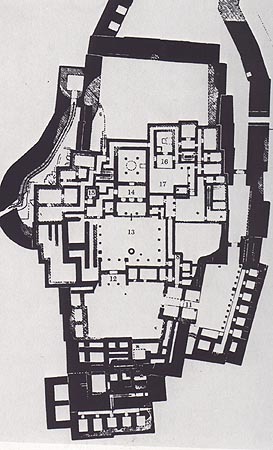 Plan of the Palace of Pylos, c. 1300-1200 BCE. 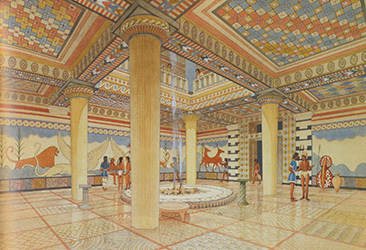 Royal Grave Circle A, c. 1600- 1500 B.C. 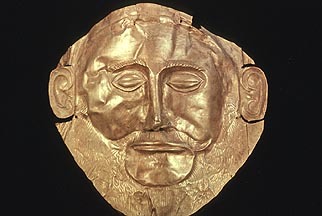 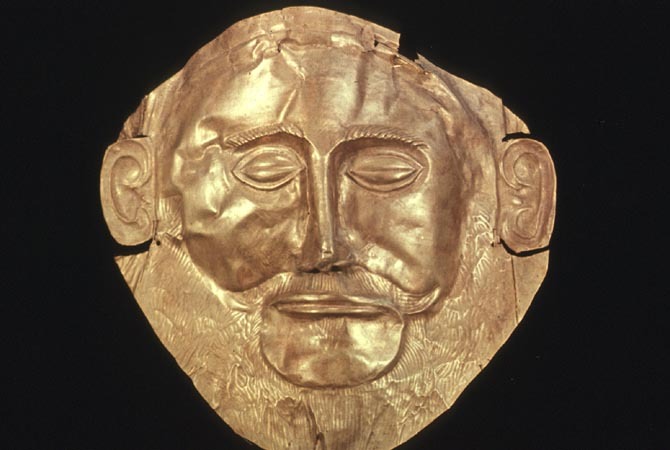 Funerary Mask (Mask of Agamemnon) c. 1600-1500 B.C. 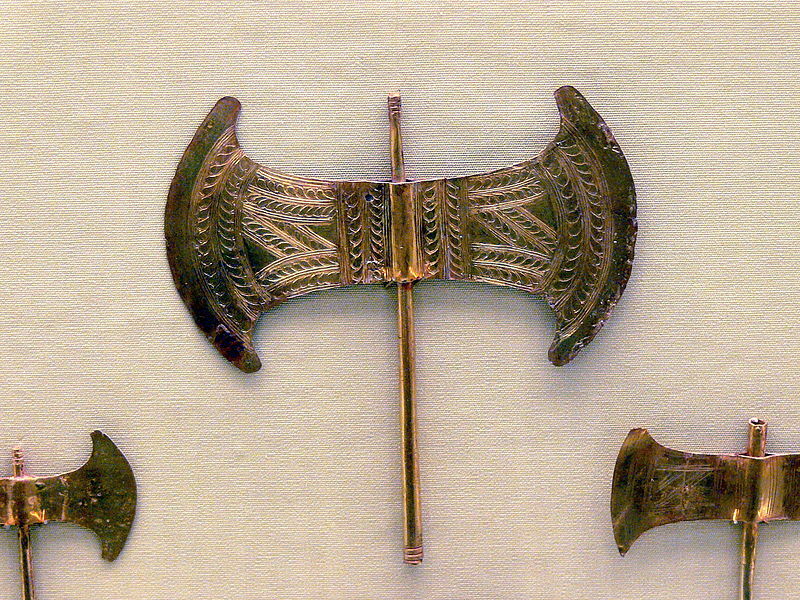 Inlaid Dagger with lion hunt from Grave Circle A. c. 1600-1500 BCE. 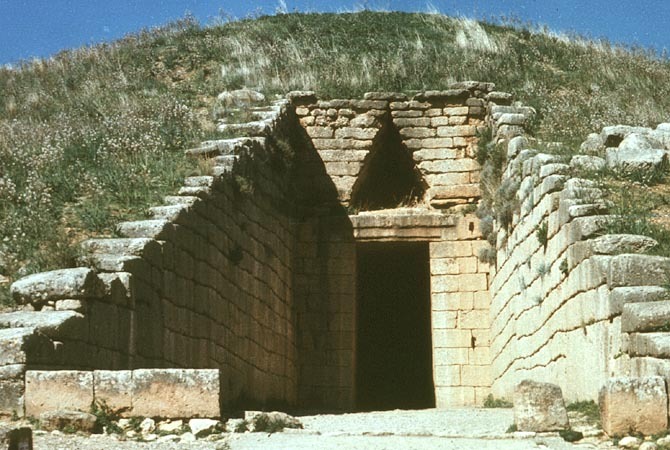 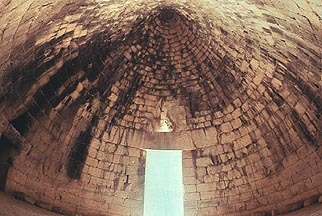 Royal Tomb (Tholos) so-called Treasury of Atreus, c. 1300-1250. 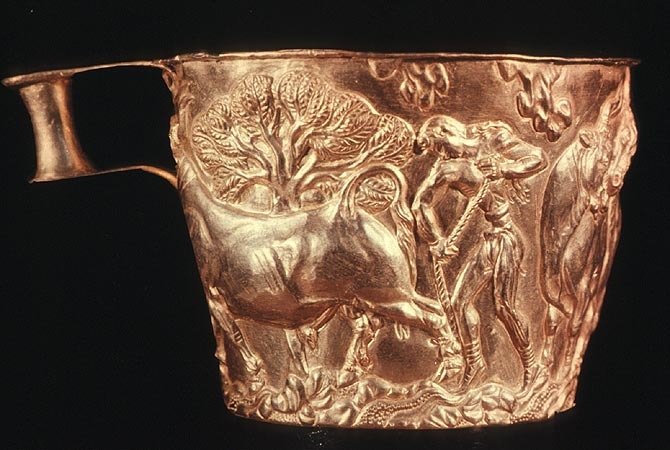 Vaphio Cup, c. 1500 B.C.